Whether you are crafting delicious gourmet delights or curating the perfect gift basket, Nashville Wraps is here to help. 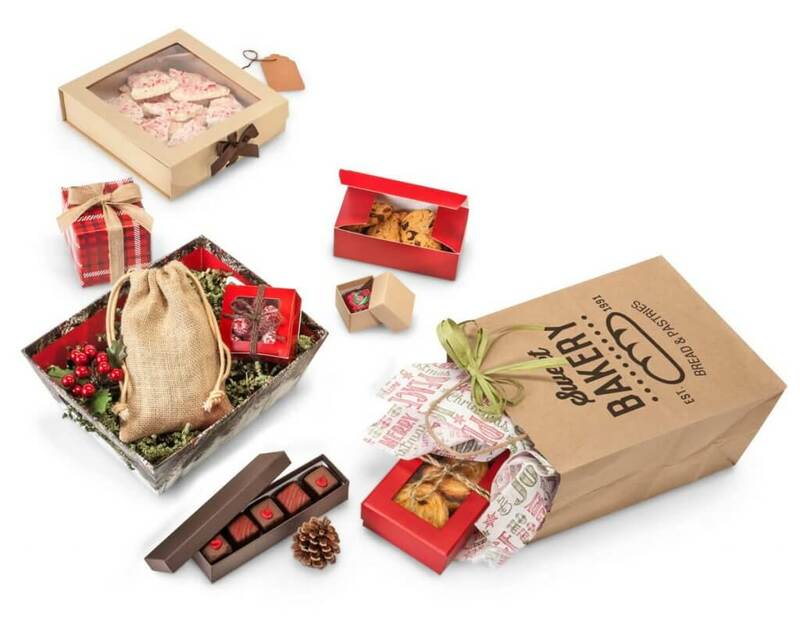 You’ll find the best selection of Christmas boxes, bags & bows to delight every customer this season while beautifully displaying your holiday food gifts. Packaging your holiday treats in food-safe bags is a must. Cello bags are a smart choice. Nashville Wraps cello is strong, food safe and made in the USA. Our Clear Cellophane Bags come in lots of sizes with or without gussets. Buy them in bulk cartons of 1,000 or small packs of 100. 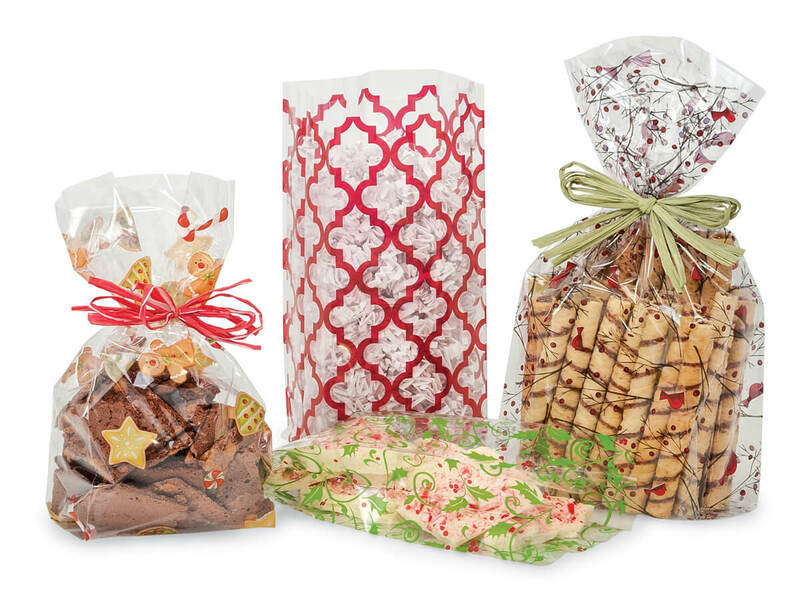 Printed Cello Bags with Christmas designs are a simple way to add holiday cheer to your candies, cookies, pretzels, nuts and other gourmet foods. Add a pretty Pre-Tied Bow for a convenient grab-and-go gift. Presentation Boxes – Take your gourmet foods to the next level by using these elegant 1-piece hinged boxes with attached ribbon. Your products will fly off the shelves in these decorative boxes which feature clear lids. Folding Presentation Boxes – These square window boxes are stored flat and are super easy to assemble. You will love the attached grosgrain ribbon for tying cute bows. Sweet boxes for candy, toffee and truffles. 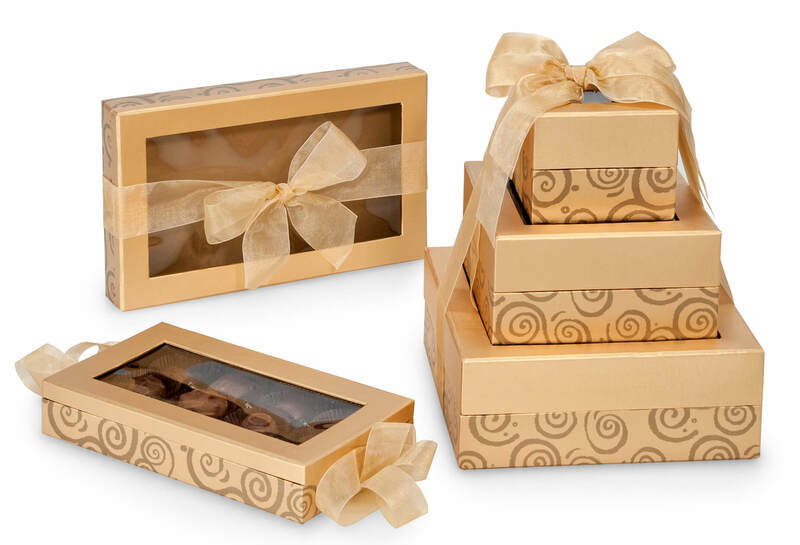 Cookie, Candy & Truffle Boxes – Shop 1 & 2-piece boxes for candy & cookie packaging. Many of these boxes can be stacked for beautiful gift towers. Make impressive presentations using Nashville Wraps boxes this Christmas and watch your sales skyrocket! Find more Gift Basket Supplies and Personalized Packaging along with 100’s of Christmas Gift Wrapping Products exclusively from Nashville Wraps. Happy holiday shopping!